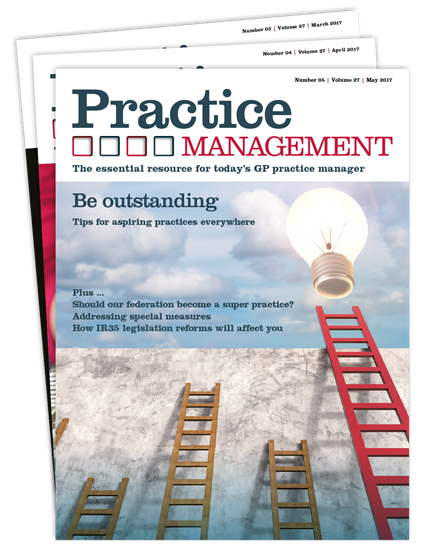 Practice Management is the leading source of information for the primary care practice manager to help run the general practice effectively. It features the latest news and innovations, management issues, legal advice and practical support dedicated to the practice manager. If – for whatever reason – you are not happy with the first issue you receive, our 30 day money-back guarantee means we will offer you a full refund, so you have nothing to lose. The first issue will be yours to keep.